And that same Power, that same Christ! Hallelujah! 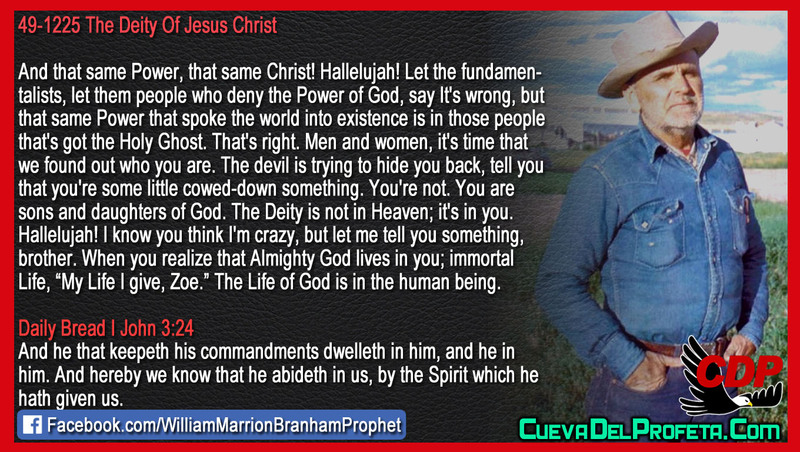 Let the fundamentalists, let them people who deny the Power of God, say It's wrong, but that same Power that spoke the world into existence is in those people that's got the Holy Ghost. That's right. Men and women, it's time that we found out who you are. The devil is trying to hide you back, tell you that you're some little cowed-down something. You're not. You are sons and daughters of God. 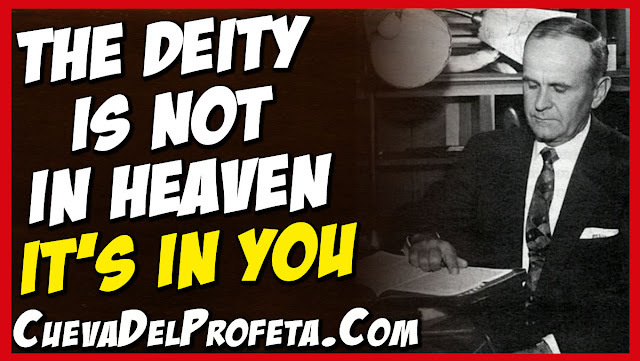 The Deity is not in Heaven; it's in you. Hallelujah! I know you think I'm crazy, but let me tell you something, brother. When you realize that Almighty God lives in you; immortal Life, “My Life I give, Zoe.” The Life of God is in the human being.